Nikki Crosby, Richard Ragoobarsingh and Penelope Spencer. 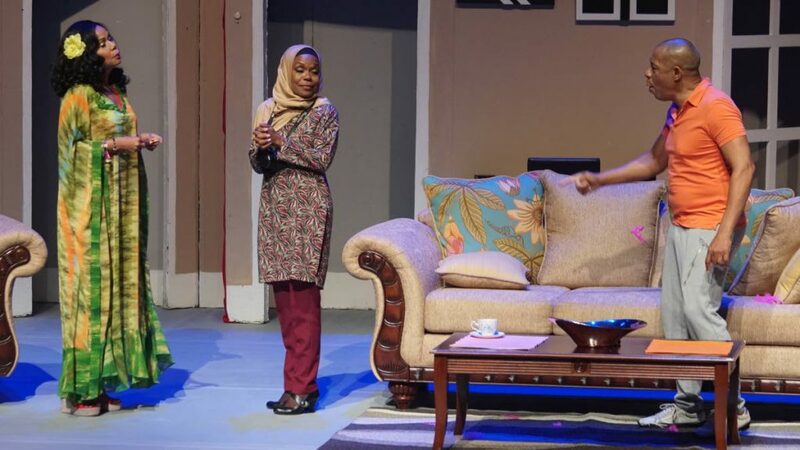 THE Naughty Minister written by Ricardo Samuel which has been a laugh riot for theatre fans is coming to end in Port of Spain this weekend. The play features Nikki Crosby as the innocent minister’s wife, Penelope Spencer plays the no-nonsense, straight-arrow senator with lots of experience, Debra Boucaud Mason is Abigail, the pain-in-the-neck persistent reporter, Ria Ali plays Mina, a mystery girl from deep south and Leslie Ann Lavine plays the voluptuous Venezuelan looking for a work permit for friends and family. Richard Ragoobarsingh is the Naughty Minister and Bradley Logan is his personal assistant. The play is directed by Debra Boucaud Mason and Richard Ragoobarsingh. See what happens in this hilarious political comedy that takes satirical punches at what is happening in TT today. The play is on tomorrow and Sunday at the Central Bank Auditorium. For more info: Facebook: RS/RR Productions) for details. Reply to "Las lap for Naughty Minister"